Today AOAT Seniors experienced an amazing tour of the unexpected: the vital special departments that support a major art museum! They saw and heard from an array of experts: exhibit designers, carpenters who make display pedestals and custom shipping crates, the people who carefully pack priceless works of art for shipment around the world. It was a “backstage” glimpse that is rarely offered to school students. We also had time to explore some of the galleries and the gardens, but it wasn’t near enough time to take in everything. We are invited back, however: in May the Kruger project will be hung and the students and their families will be welcomed with a special celebration. Thanks, Cathy Carpenter and Kaitlynn Redell, for hosting today’s exciting Getty experience! 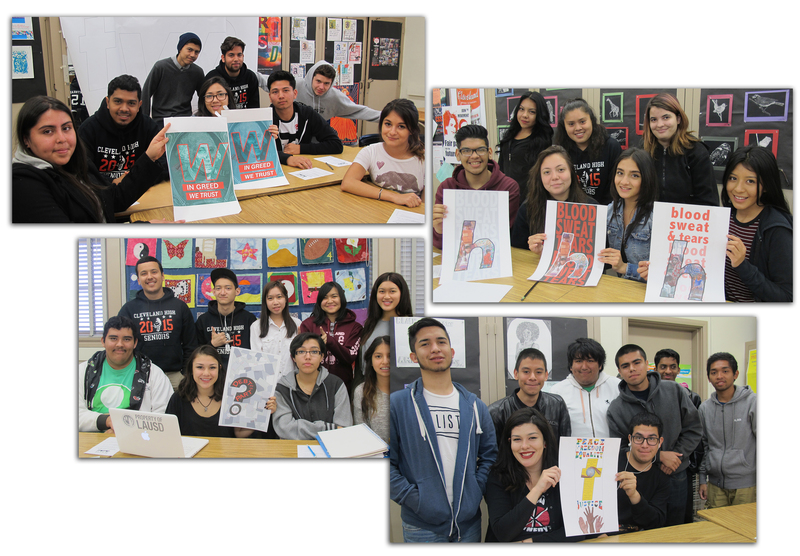 Student teams have been busy designing graphic treatments for letters to be installed at the Getty this spring. Their work will be combined with other classes from Cleveland as well as from Chatsworth High School to spell out the phrase “Whose Values? Whose Justice? Whose Fears? Whose Hopes?” The GAP artist Barbara Kruger has visited classes twice to work with students, and encourage their process of inquiry and collaboration. 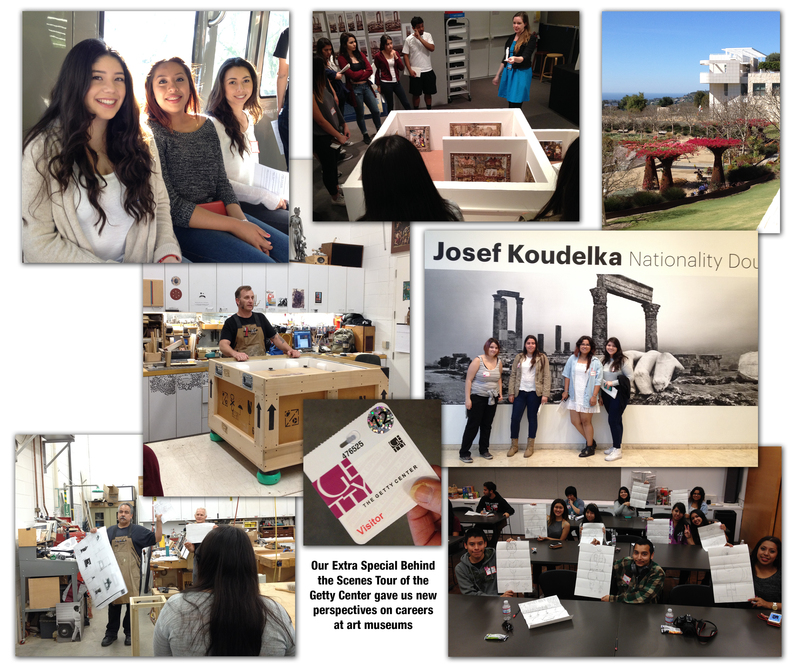 We will be going on a special behind-the-scenes tour of the Getty next week, and our students are excited to scope out the location where their work will be on display.